This Studio 360 podcast tells the story of my 2014 performance, The Dariad, which took place in and around San Francisco. It was a smaller production, but one that meant a lot to me as it dealt with patience and ways of seeing - ideas close to my heart. Imagine, if you will, waking up one day to find yourself immersed in a performance that is all about you. Now imagine that you are the main character in that performance, that it goes on for months, that it takes place in your home, at your workplace, all over the city where you live, and that the other characters are your friends and family and a mysterious group of artists, most of whom you’ve never even met. This is Odyssey Works, and if this is happening to you it is because, some six months earlier, you were selected to be our sole audience member from more than one hundred applicants. 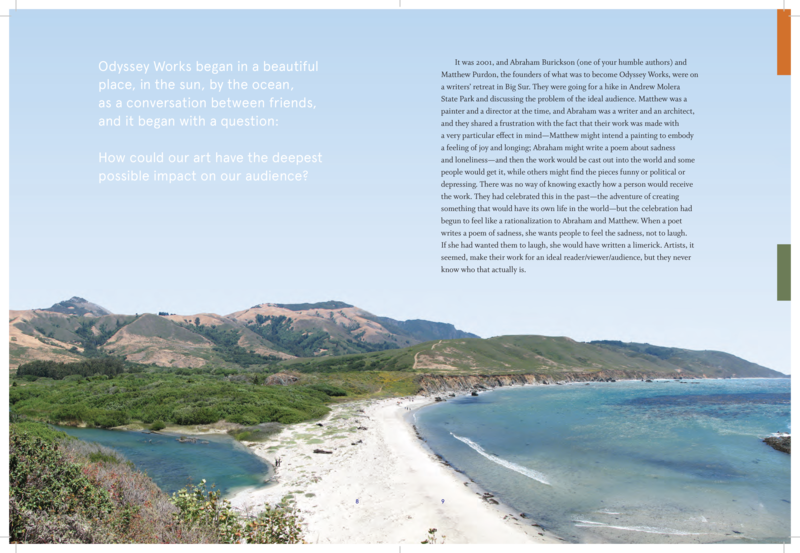 In 2002, I began the Odyssey Works project and have since worked with hundreds of artists in attempting to find a way to make more meaningful and impactful work. An Odyssey Works production is more than just a performance, it is a seamless infiltration of narrative and aesthetic themes into a person’s life. My team writes and publishes books claiming to have been written by the likes of Italo Calvino and Jorge Luis Borges, then hacks Wikipedia and even the New York Times to validate their authenticity. They also compose scores, create plastic objects, take over hardware stores, cafes, even former military ships in an effort to transform the mundane world into one rich with story and meaning. An Odyssey Works participant may find that all the new people he has been meeting have turned out to be actors, and that they are leading him to understand the city as a large map by walking across it carrying nothing but a rock, and that later he will be blindfolded and kidnapped and then taken to the woods where tinder is piled about his feet and that he’s tied to a stake, about to be burned alive. Or he’ll find himself nailed in a coffin, or awakening in a new life in a new home with people he’s never met posing as his new family. Or something else. 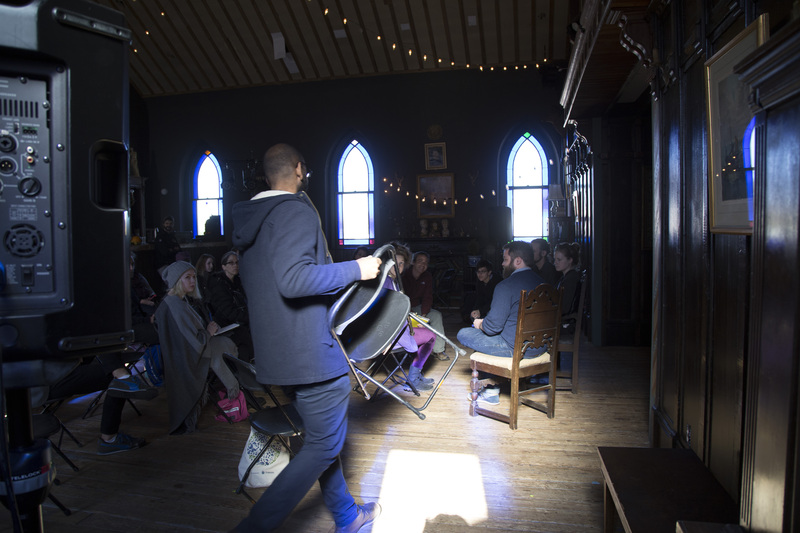 My most recent production, which took place in November of 2016 in New York, Baltimore, and Virginia over a week long period, was called Pilgrimage because it was structured in many ways as a pilgrimage. Pilgrimage was also my first production since moving to Baltimore - first, I hope, of many. 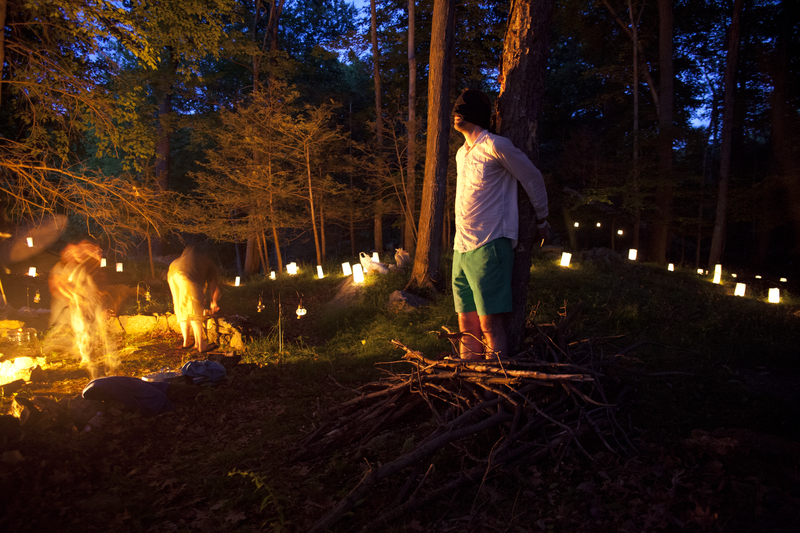 It was a wonderful opportunity to work with local artists (such as Graham Coreil-Allen, Laura Wexler, and Nate Brown) and to engage the sublime mysteries of my new home. 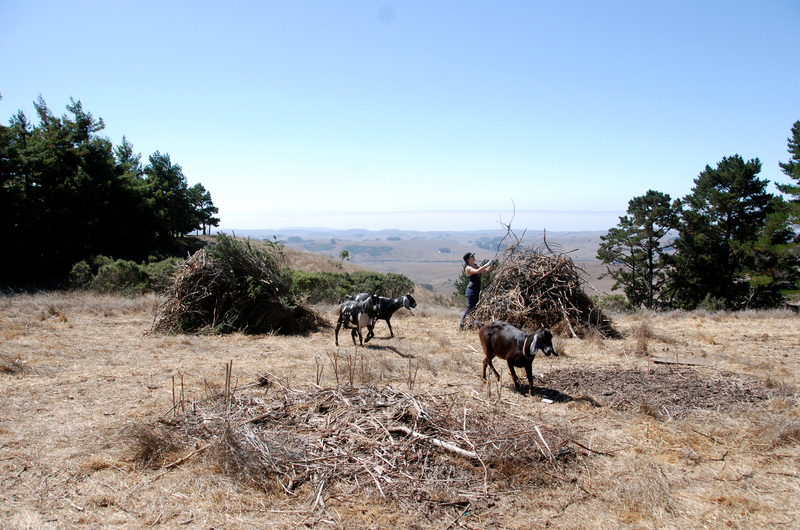 It was also my first chance to work with Dare Turner, whose Native American (Yurock) heritage and her expertise in medieval pilgrimage rites heavily influenced the work. Pilgrimage was a pilgrimage. Ayden LeRoux, for whom the performance was made, was facing many life changes - imminent surgeries, the threat of breast cancer before the age of 30, changing jobs, moving out of state, finding her life path. She was also someone who had recently taken a tour of the land art of the American West and found it to be deeply spiritual. Pilgrimage was something that was on her mind, and it seemed she should take a properly structured pilgrimage. It would be too much to describe the performance as a whole (if you would like a full narration, you can check out the incredible essay written by Maura Callahan in the January 2017 cover story for the Baltimore City paper here), but I would be remiss if I didn't introduce the project with a little more about the pilgrimage itself. Working closely with Turner, we studied the specific structures of pilgrimages - how pilgrims move from station to station, how they carry votive offerings to the holy sites, how the holy sites are shrouded in myth, how pilgrims accumulate badges and pendants, and how the clothes pilgrims wear are designed to ward off evil and danger. We found, amazingly, that many of these practices tracked with Turner's own Native traditions, and we worked with her mother to create regalia and clothing that she filled with protective prayers. Through the more that 200 miles of her journey, as she was wrapped in peoples wishes like a cocoon in Brooklyn Bridge Park and then transported southward, as she spent the night in an unknown pilgrim house (in Baltimore) as she walked and rode trains and the light rail and hiked along rivers and canals, her pilgrimage tracked a long tradition of pilgrimages - both European and American. 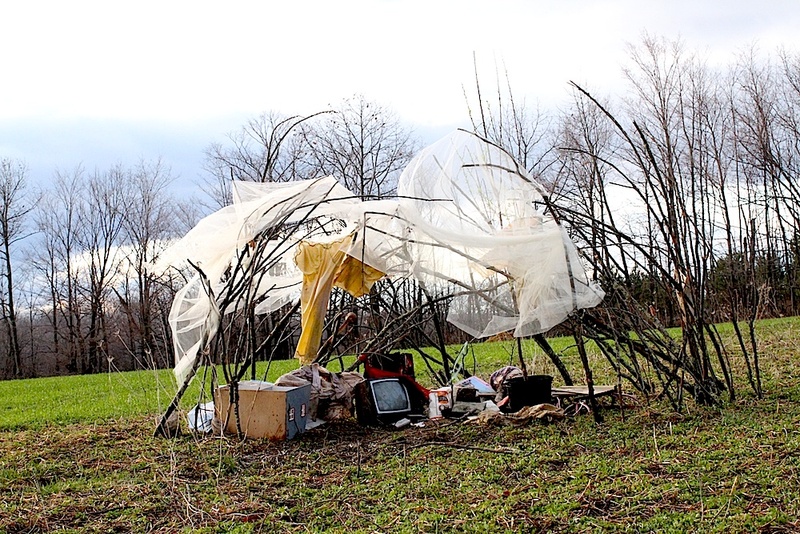 But the end point of her pilgrimage was something much newer, a piece of land art by Nancy Holt (arguably the only land art on the east coast). As Ayden walked, we walked. Everybody who was involved in the performance deeply enough went on the pilgrimage as well, offered their own votive offerings, made their own petitions. A Q&A with a twist. The "audience" who came to the book event brought their basic life questions rather than questions about the book. There were no answers, just a growing commonality. The Pilgrim House in Baltimore. 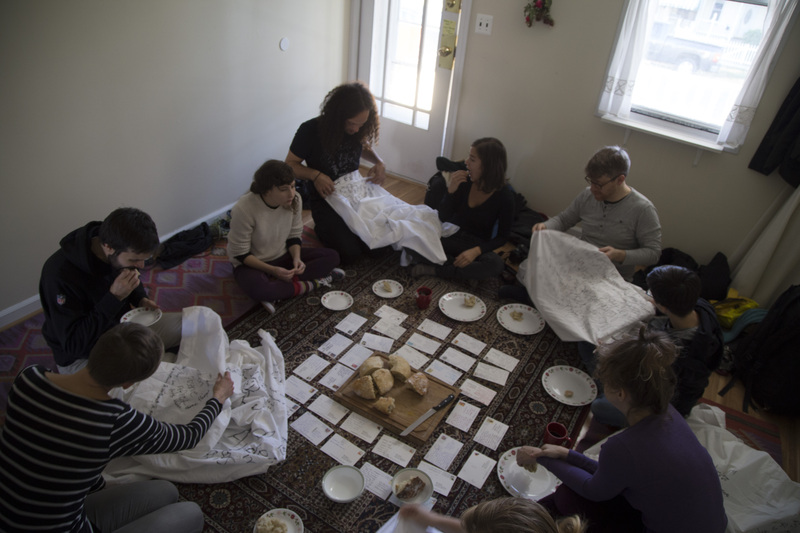 Pilgrims break bread (the only food they'll have on pilgrimage) and read postcards sent from fellow travelers around the world. Photo by Katy McCarthy. 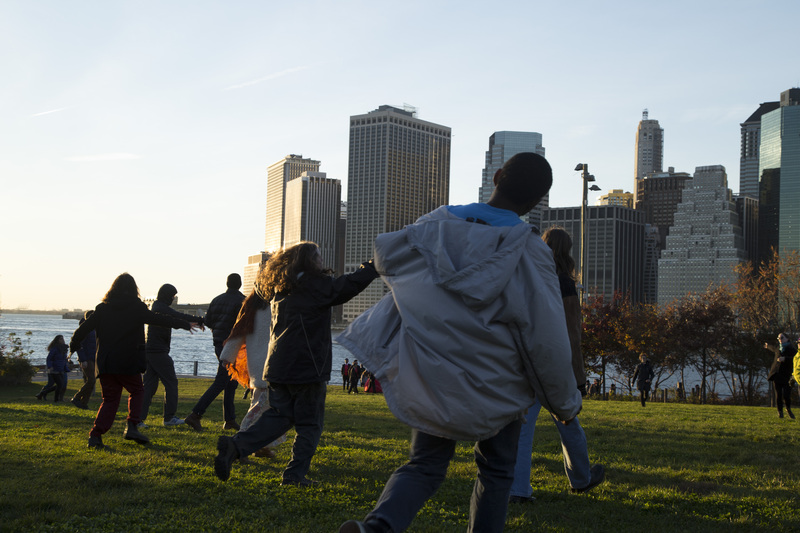 A Public Scene in Brooklyn Bridge Park. Members of the public, choreographed on the day of the performance, join in a scene that will end in them wrapping the participant in a cocoon. Photo by Katy McCarthy. The Pilgrim wearing her regalia and pilgrim's tunic on her Journey on the C&O canal tow path. Photo by Katy McCarthy. 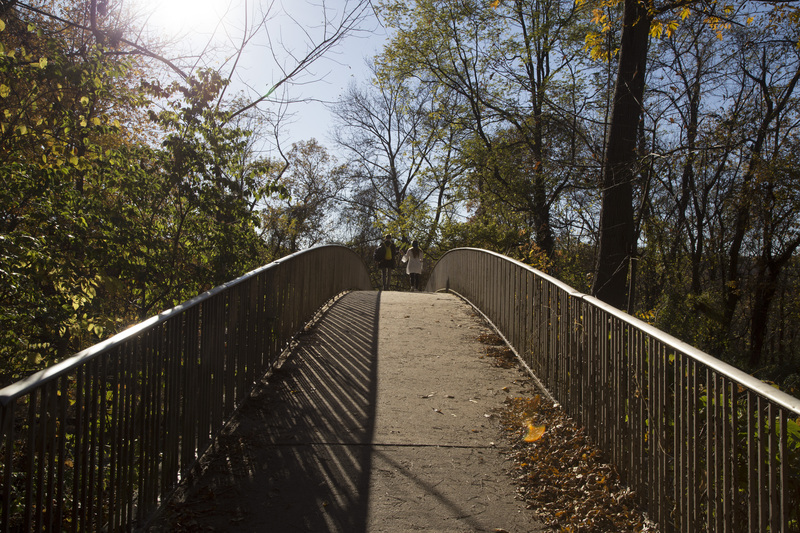 This is the founding myth of the pilgrimage site - Dark Star Park in Arlington. 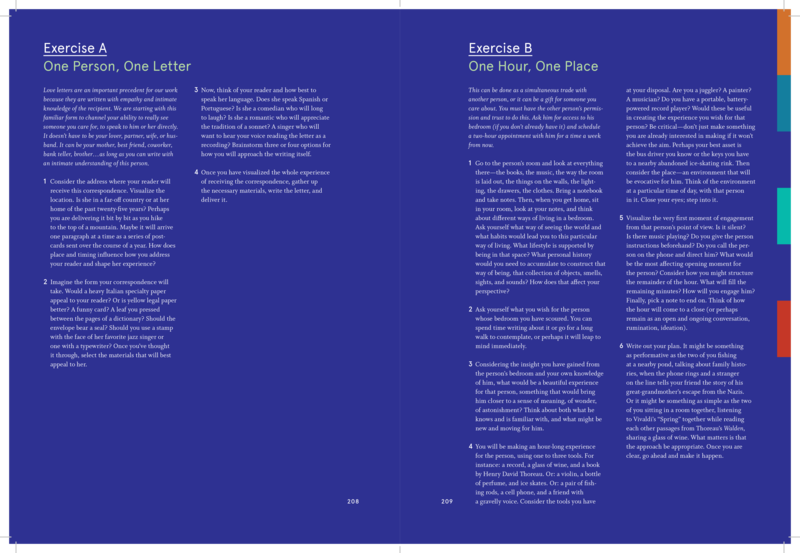 It was included in an epistolary narrative the participant read and was designed to look like it was printed off the Parabola Magazine website, hence the odd layout. 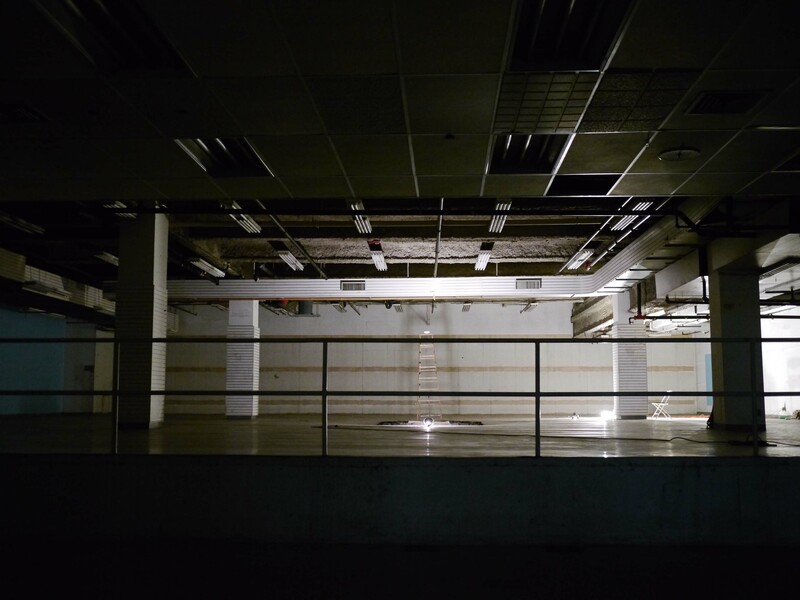 The proposals are derived from the fifteen years I have been at the helm of Odyssey Works and are intended to deepen the conversation I have had with artists over the years, though they are written for all individuals making work in any creative medium. 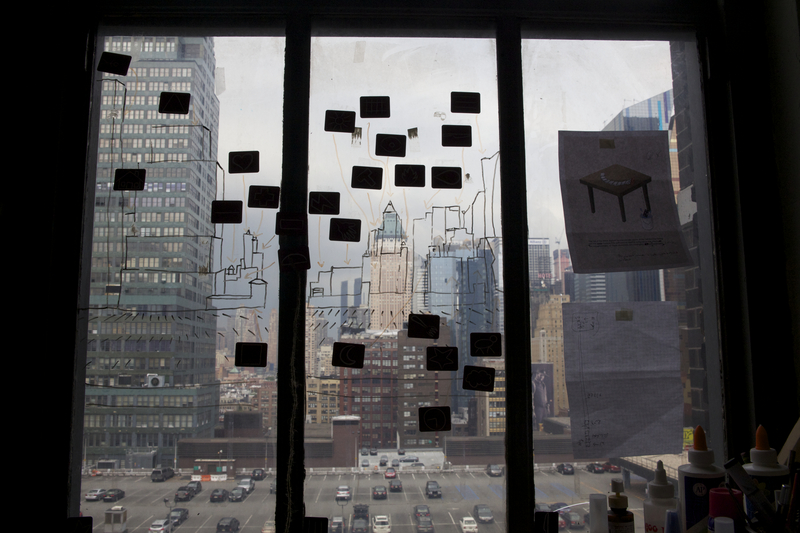 More than anything, the book aims to help people make work that has meaning. The book, also, is a diagram of ideas. 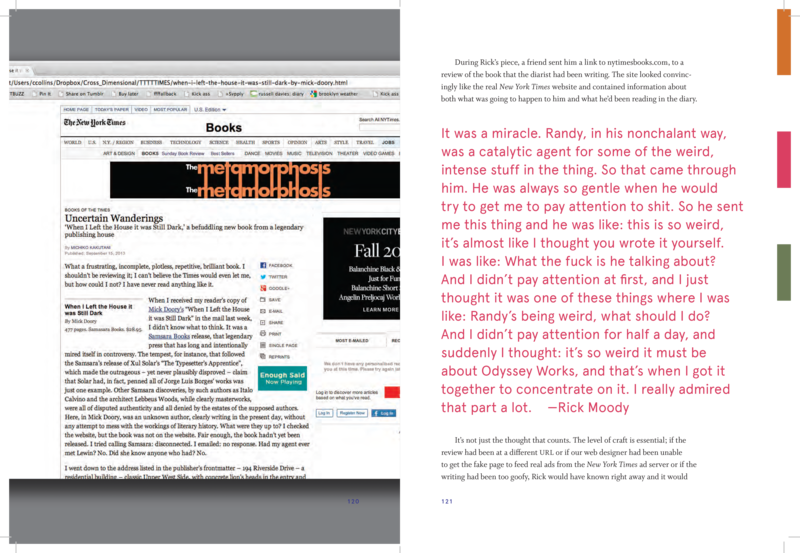 One can read it straight through, or one can follow the colored tabs to focus on certain ideas. The table of contents is both an index of chapters and a heat map of concepts, and the reader is invited to follow her interests and personal focus through the ideas. There is a significant online component to the book, and multimedia content on my website serves to provide background and a deeper comprehension of the events discussed. Finally, the book is a call to action, inviting others to make work and to join me in creating future productions either through various remote actions or in person wherever the next production might be. "Takes you on a creative journey that will get you rethinking your own process"
"A deeply engaged exploration of the aesthetic experience as it exists in our lives today..."
An additional note: The book was released on November 8, an unfortunate timing. The book release party, on November 9 was hard to imagine going to. I wrote and published this that day in an effort to consider the ethical imperative of artmaking. End papers for the book. End papers for the book. 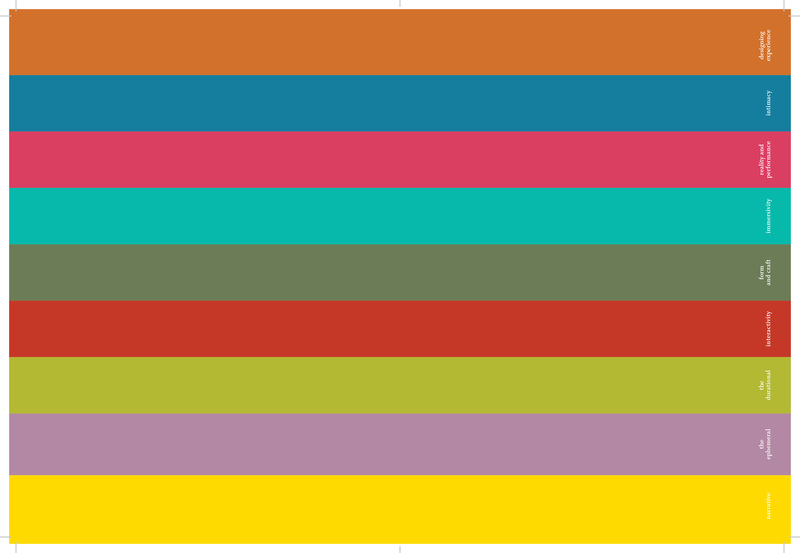 Colors code different concepts so that readers can move in a non-linear fashion through the book. Table of contents. The heat map to the right shows which ideas are most prominent in which chapters. 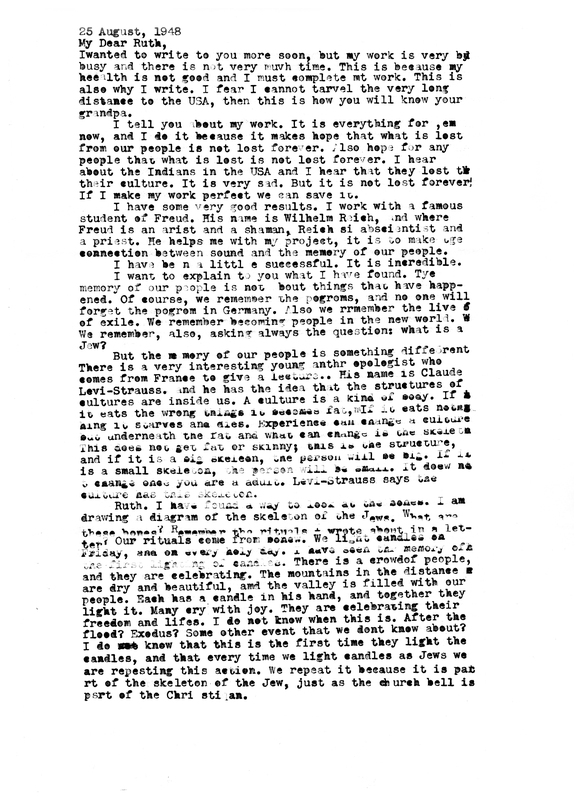 The opening of the book. 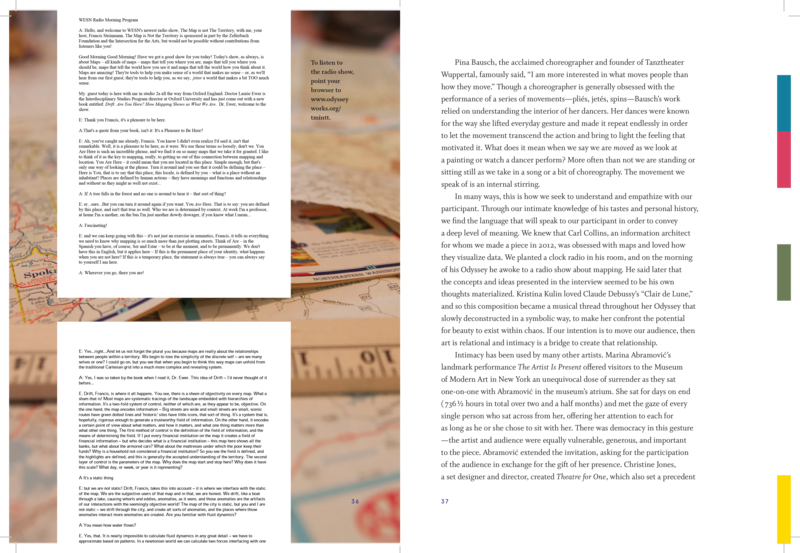 The second spread of the introduction. 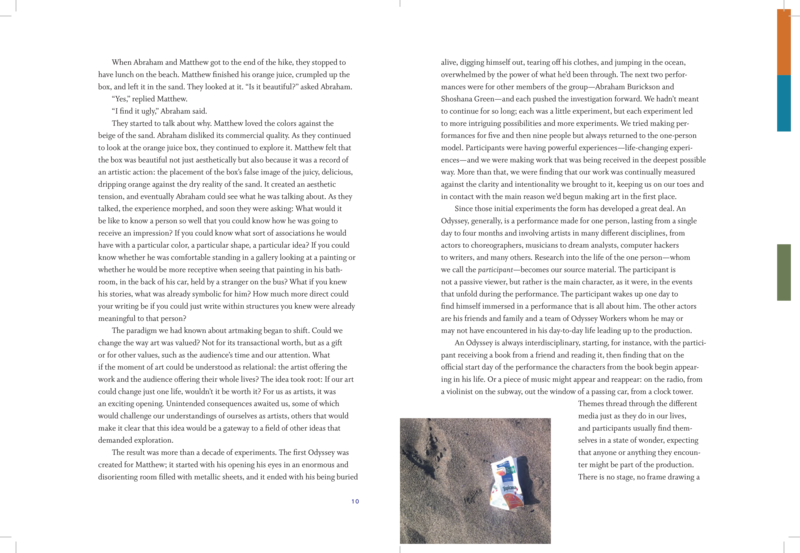 This spread features a script I wrote for one of our pieces, as well as a link to listen to the final recording of it. Scene from one of the Odysseys. This spread features a hacked NY Times web page and an interview with the participant (audience of one). 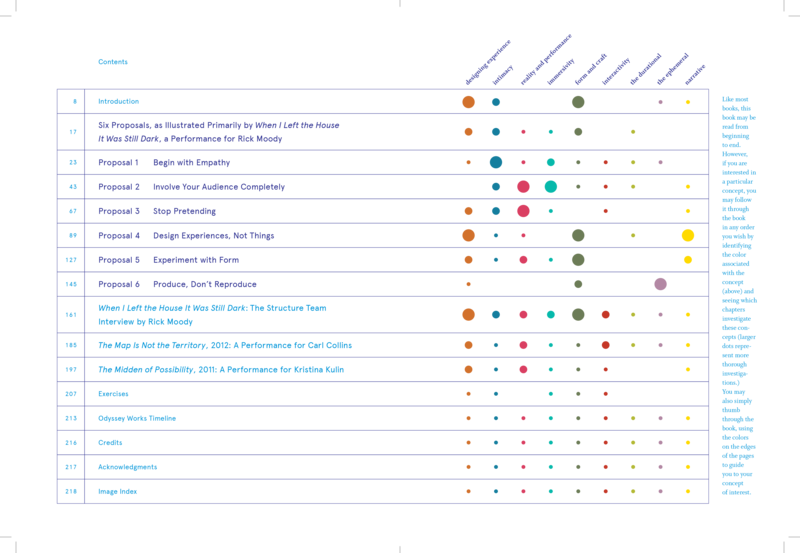 This diagram tracks the changing form of one story through the course of one of the performances. Developed in collaboration with ModernCatalyst. This performance, which took place over a period of three months in 2013, was the longest single performance I have ever done. 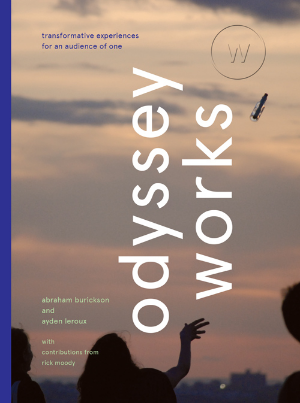 It is the subject of my recent book: Odyssey Works: Transformative Experiences for an Audience of One (co-authored with Ayden LeRoux). 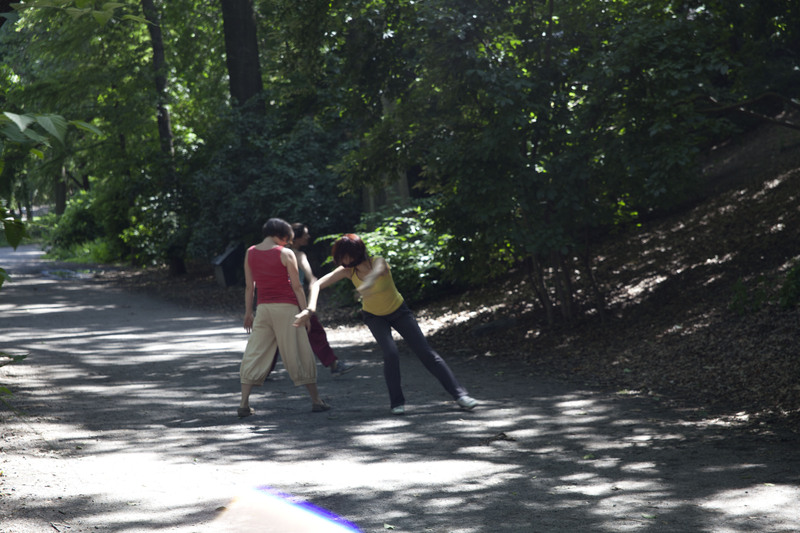 You can read a lovely and concise description of the project on Marina Abramovic's website. Rather than narrate the whole timeline of Rick's performance, I'll excerpt an interview Rick (the participant) did with me for the Rumpus. it gets at some of the deeper intentions behind the production. "My experience was numinous, strange, important, depressing, intense, annihilating, powerful, hard on my relationship, and frequently very, very moving. The whole featured dozens upon dozens of performers, some of them known to me, but others unknown and working for free, and it was mainly the highly intensive collaboration of the Odyssey Works structure team, as they call themselves, which includes not only artistic director Abraham Burickson, who is an architect, a published poet, and a former whirling dervish, but also four others, all of whom I got to know intimately." The Rumpus: So as I understand it, this production of Odyssey Works (the one featuring myself as “audience”) was logistically among the most complex yet mounted. True or untrue? Why so complex? And did that need to expand represent an organizational wish? Did you want to get bigger? Abraham Burickson: Certainly this was true, and it did represent an organizational wish, not specifically to get bigger, necessarily, but to put into action certain things that we’d been thinking about and working toward. Mainly these all emerge from a wish to have a piece that is more dynamic and dialogical. In the past, we would have actors infiltrate the participant’s life, and we would work toward a single weekend of performance. Like yours, these were pieces developed from our research, but unlike yours, these pieces were more or less planned in advance and then executed as planned. We wanted to set up a structure where the general intent of the piece was set, but the content and the thematic direction of the piece changed with every interaction; it was very uncertain for you—you had times and (sometimes) locations known in advance, but content was a mystery. We wanted to bring ourselves a little closer to that uncertainty, to have to respond to your interactions with the piece, and, as we were investigating themes and narratives in your life also to be investigating them in our own. In the past, this happened naturally but somewhat by the way; in this production we made investigating our own relationship to the ideas and the things you were going through central to the process. We did a great deal of writing and thinking about the themes, and we collected our writings. We also went through the same fool training that you went through with Jen, as did many of the fools from the scene at MetroTech Plaza. We wanted to focus on you, to have you at the center of the piece, but to have the investigation reach each one of us at a level approaching what we hoped for you. There is some sense of “keeping it real” in this, because if we are investigating an idea, a theme, and thinking only of you there is the risk of remaining detached or clinical. If we are included, always, it becomes consequential; it renders the border between the theoretical and the practical, or the performative and the real, somewhat more porous. This is why, for the most part, all the narrative material we bring about ourselves is real. Burickson: I believe you said it had “an annihilating quality.” When I mentioned it to your brother he said: “Rick chooses words very carefully; if he used the word ‘quality’ it must have really piqued his interest.” Certainly, I know, it was difficult for you there, and that really gets at what we’re interested in there—a spatial quality such as annihilating, rather than a spatial quality such as tall. Rather than the formal qualities of the space, we’re interested in the nature of the relationship you have to that particular space and to what we did with it. This is really where we started with the composition of that part of the piece—with what we wanted that experience to be in that space. This was before we had Sid’s and before we had a lot of the specifics of the piece. This is architectural, sure, and it is what I like about architecture, really, that thought process, how we can think about a building or a cityscape not in terms of the forms themselves—the walls and the concrete and the elevators and the stop signs—but in terms of how it performs, what life it is possible to live there. 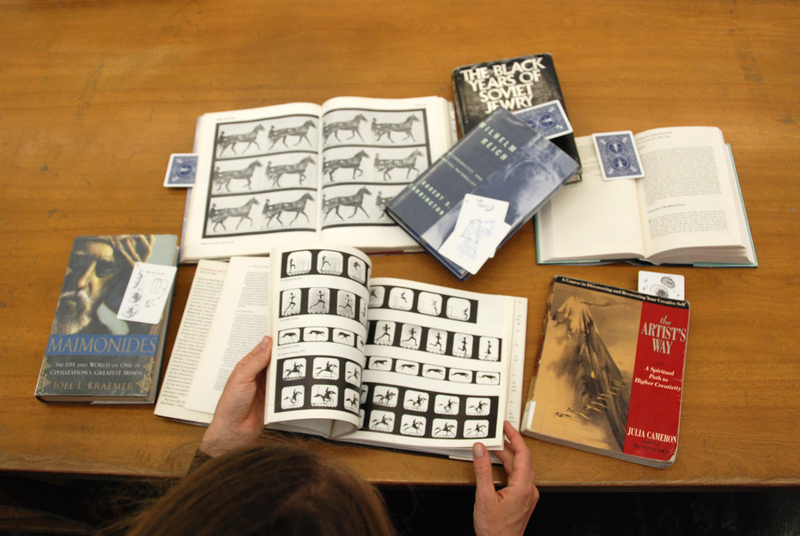 This gets at why categorizing the work is so tricky, not because we are so interdisciplinary but because the scenes are designed beginning with the desired audience experience—to create a sense of loneliness, for instance, or to give a sense of crescendo, or to move to an aesthetically exalting space—rather than the ultimate form. 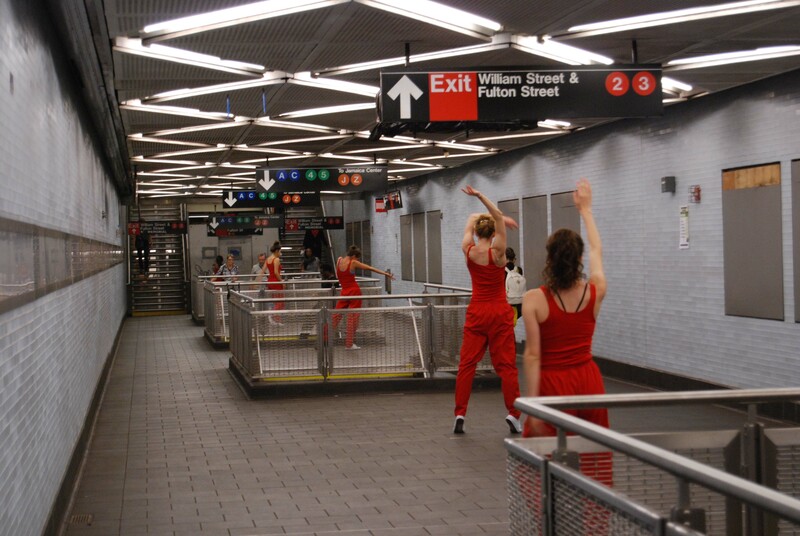 Dancers were placed in the New York Subway for Rick (and hundreds of passersby) to encounter as they went about their days. 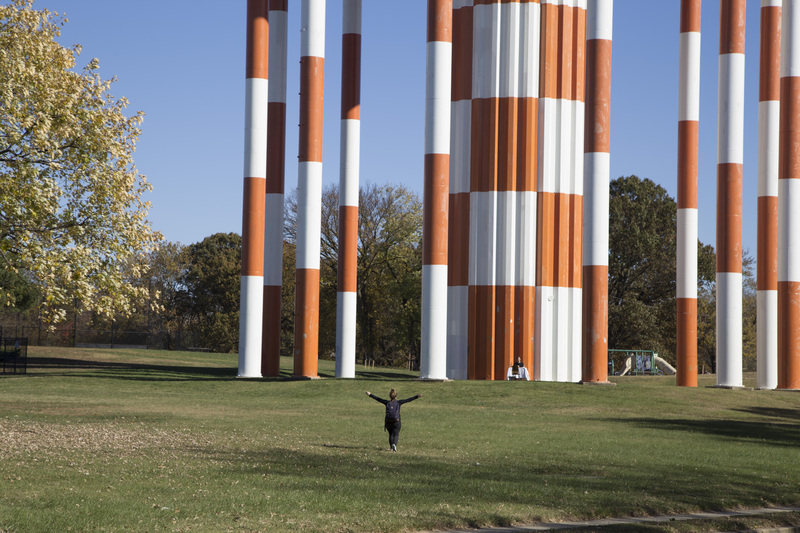 Photo by Elizabeth Eisenstein. Choreography by Jen Harmon. A diagram of the last 24 hours of When I Left the House it was Still Dark. 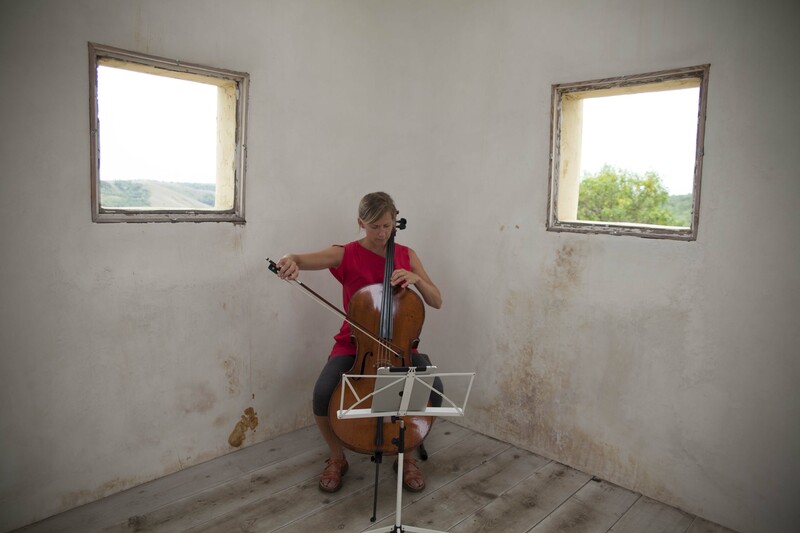 Cellist Leanne Zacharias in the Straw Bale Observatory outside of Regina, Saskatchewan. Not knowing how he was going to spend his weekend, Rick traveled 8 hours from Brooklyn to Canada to listen to the music he had been reading about for so long. Photo by Ayden LeRoux. 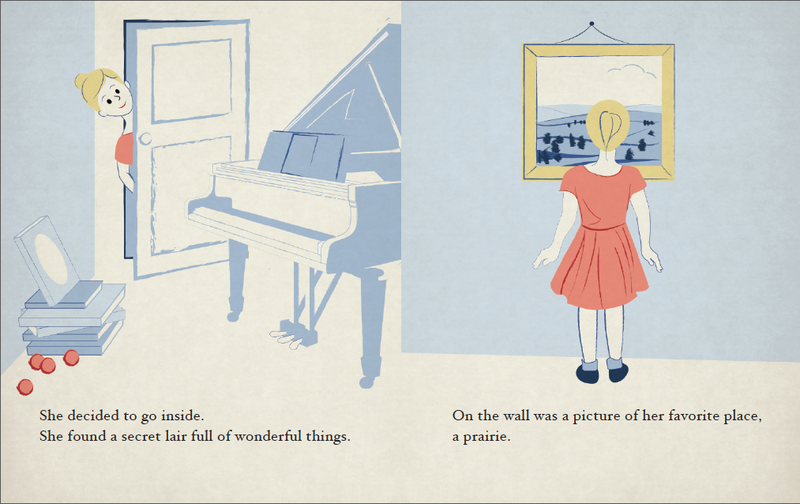 A spread from the children's book The Secret Room, which was given to Rick by his priest at the beginning of the performance. 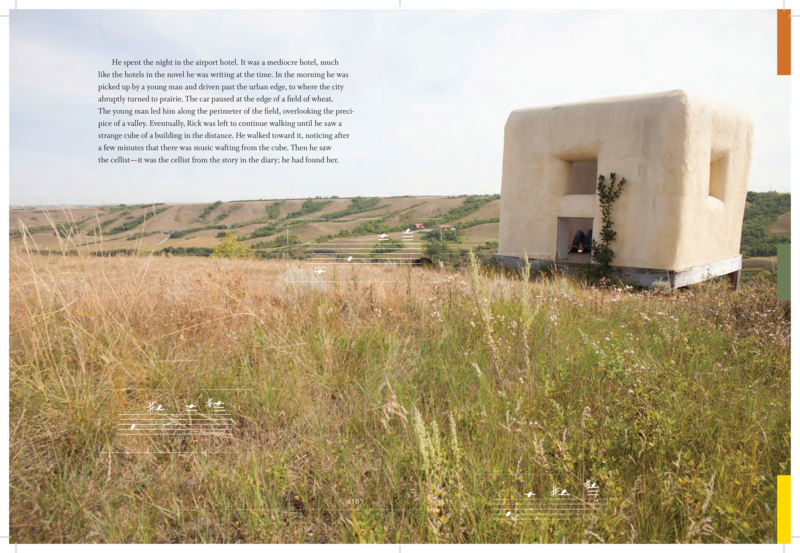 Rick read the book to his daughter, but would later find himself in his own "secret room" and would visit the same prairie shown in the book. 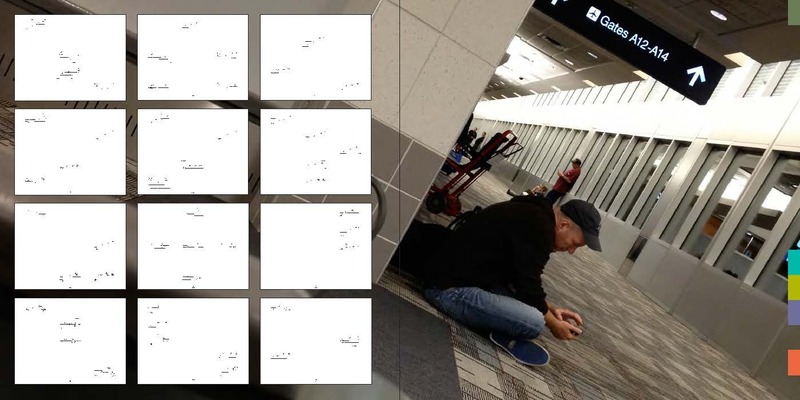 Our secret photographer (Ayden LeRoux) captured this image of Rick at the airport in Regina after he unexpectedly traveled 8 hours from Brooklyn. On the left side of the image is the score, written by Travis Weller, for the music he would hear when he finally arrived at the Straw Bale Observatory the following day. 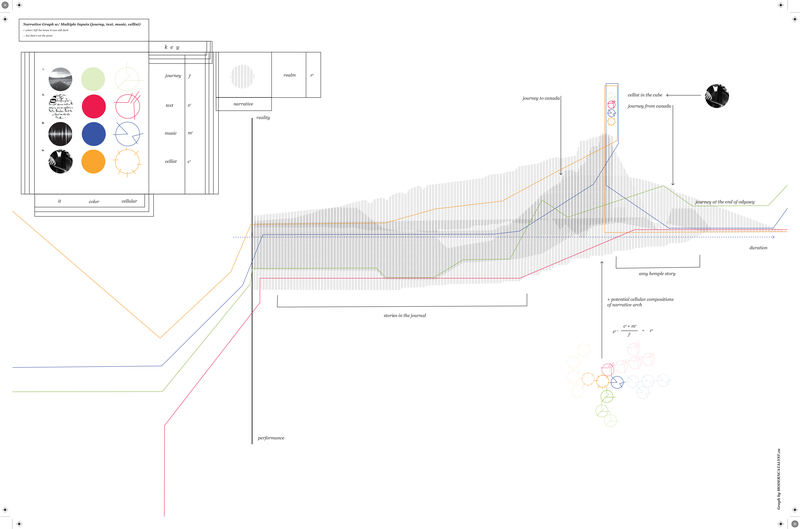 This diagram follows a single story through various modes of storytelling - print, live performance, online, etc. 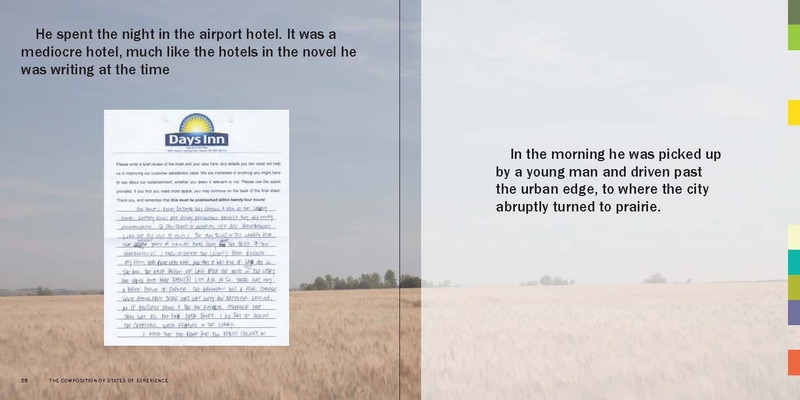 This image - a spread from an early draft of my book - features the Days Inn feedback form Rick received in Regina. The form is whimsical and meant to tie into the writing he was doing at the time for his novel, Hotels of North America. Photos by Ayden LeRoux. 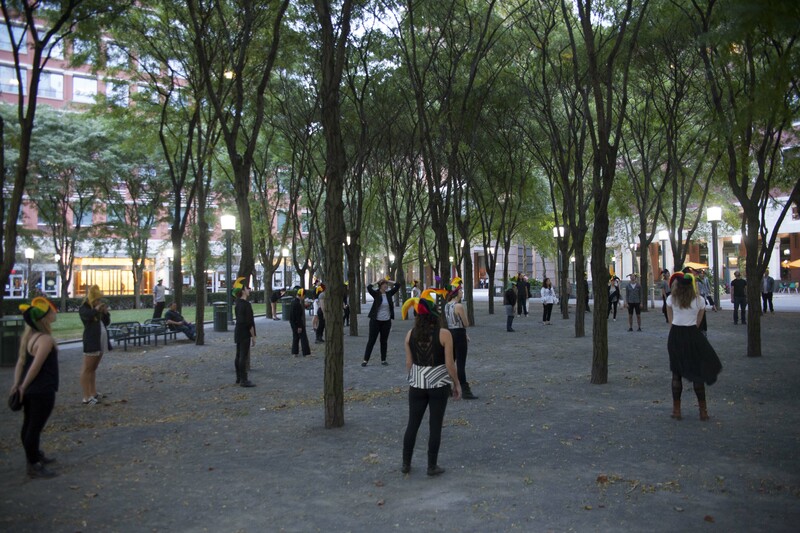 A forest of fools gathered in a corporate park in Downtown Brooklyn. The fools - 50 or so - were comprised of members of the public who wished to "see" the performance but ended up joining us in making it. They swayed in the wind like trees and then gathered around Rick to form a beehive of madness. Postcards sent to be part of the performance from Odyssey Works followers around the world. Photo by Ayden LeRoux. Laura Espino came with her mother from Argentina to this country when she was a teenager. The story of her arrival here, her learning English and overcoming immigration issues to eventually go to Berkeley and then find a life where she is able to help other immigrant families is compelling and unfinished. Now in her mid-twenties, she is bright, politically engaged, socially active, and very much in transition. Her friends see her as a success story – she is driven to have a meaningful career somewhere in education, and she is in a good, stable relationship with her partner, D.
She says that hearing is her favorite sense, and she speaks of getting completely immersed in film and literature and dancing. She is also very careful about managing her intense social life, never complaining and always taking care to make sure everyone feels cared for. She has a public persona and a private one, and likes to escape from people to watch movies or read books. She reads everything by an author, then listens to the music referenced in the books. She gets completely immersed in the stories of others, and when she is with her friends, she is politically precise, optimistic, and certain. Working with Laura was the opportunity I didn't know I had been waiting for. How does narrative work in our lives? What are the larger and the smaller narratives? What would it be to actually see how those narratives work? 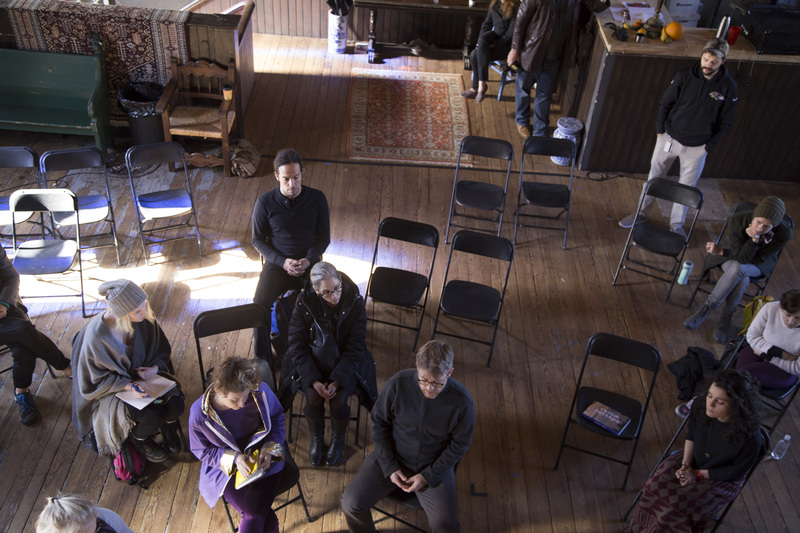 The performance was that opportunity - a series of experiences that connected large, ancestral stories to stories about her own life, then to the story of what was happening in the moment, then to the single sound that encapsulated that story. It was called the narrative spiral because the stories repeated and reduced - a Borgesian experience for an Argentine fan of Borges. The climax, which we called the Crescendo, saw all the stories fold together when a cafe full of members of the public (trained that day) created all the sounds from her life. It was a powerful moment. The performance was featured in the New York Times. 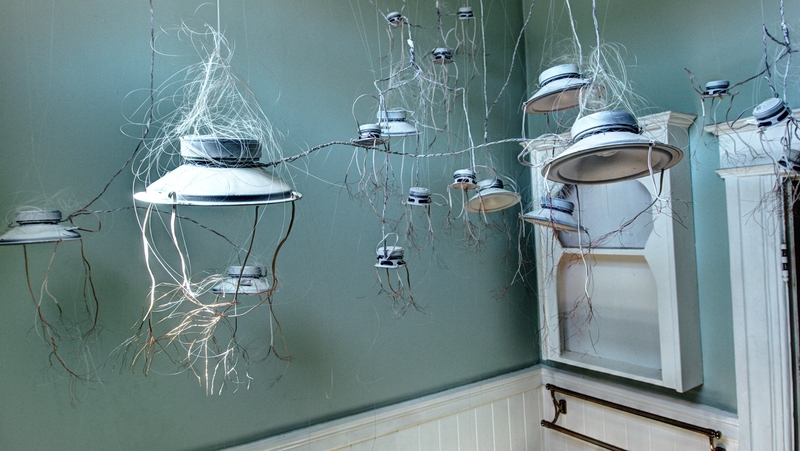 The Sound Bath Installation was the climax of the performance. All day, Laura had heard her stories being reduced to sonic moments. The sound bath brought them all together. 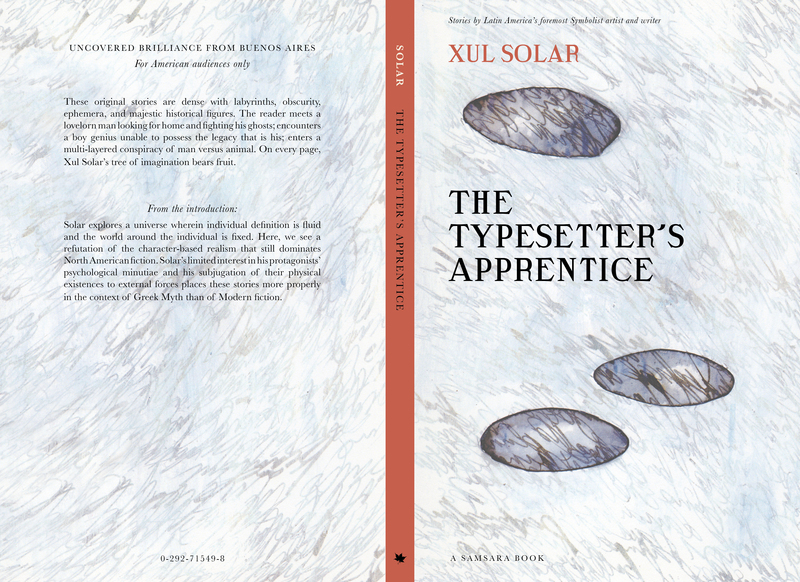 The Typesetter's Apprentice is a collection of short stories in the style of Borges, written to feed narratives into Laura's consciousness, who grew up in Argentina reading his work. 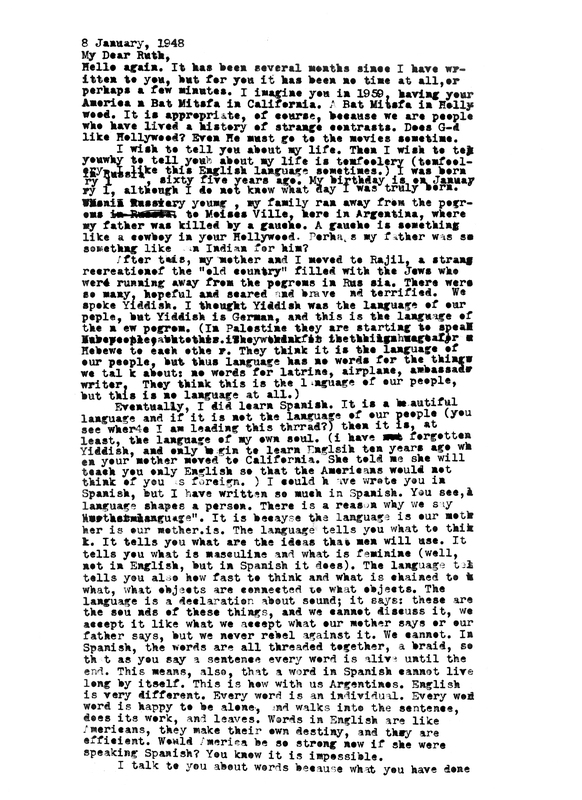 The Gerchunoff Letters were a series of fictionalized letters from Argentine author Alberto Gerchunoff tracking the idea that at the core of every experience a sound could be found, and that human beings have specific sounds at their core. A friend Laura had recently made engaged Laura during her Odyssey. The friend was researching her past, and her family history, much as Laura had done and was doing in those years. This encounter was marked by the sound of flipping book pages. A woman Laura had recently met talks with her about health and family history. 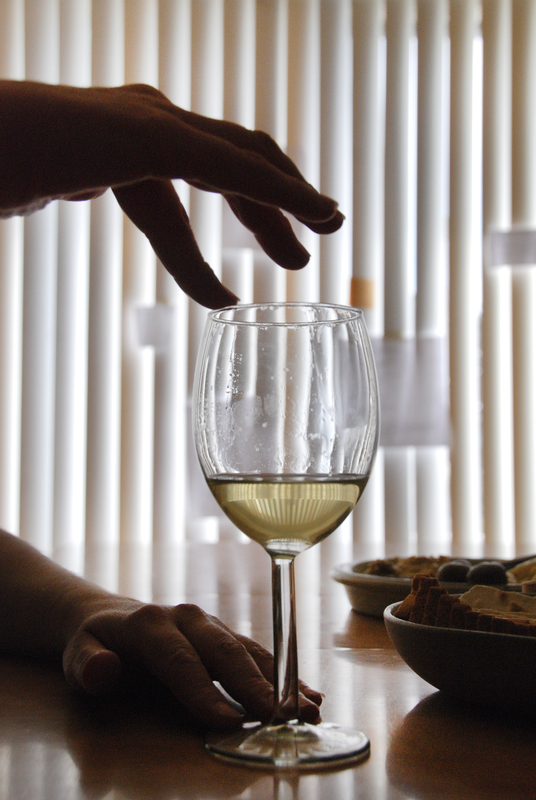 While she does this, she makes a wine glass hum. The Crescendo was the climax of the performance, when Laura went to a seemingly ordinary coffee shop, only to encounter her mother. After a meaningful conversation with Laura, her mother left. 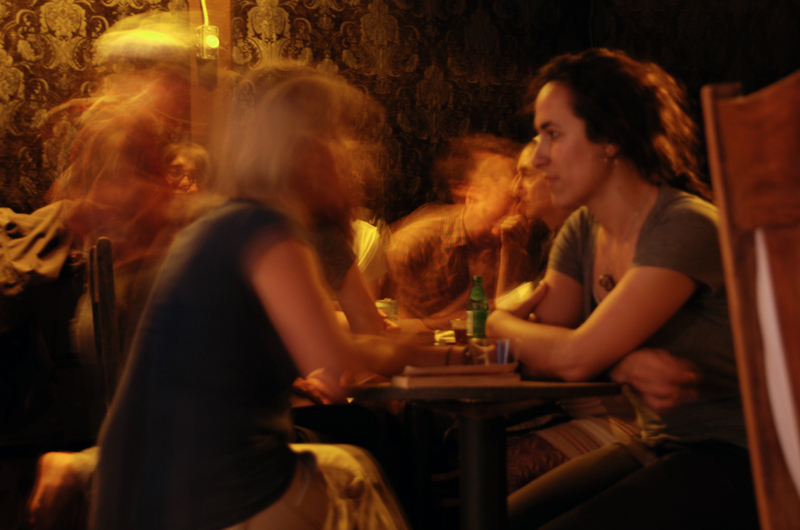 As soon as she left, everyone in the coffee shop made the sounds that had been filling the rest of her encounters. Following her Odyssey, Laura was kidnapped and taken to the country where she was able to try out a new life and a new identity. What was he searching for indeed? In order to find out, we thought we might bring Carl into his body, to feel the same intensity that so often was boiling in his brain, in a corporeal way. His performance was broken up into four segments — Enhanced Carlness, Removal of Carlness, The Animal, and Life on the Other Side, the first three parts necessary for the final part to work. 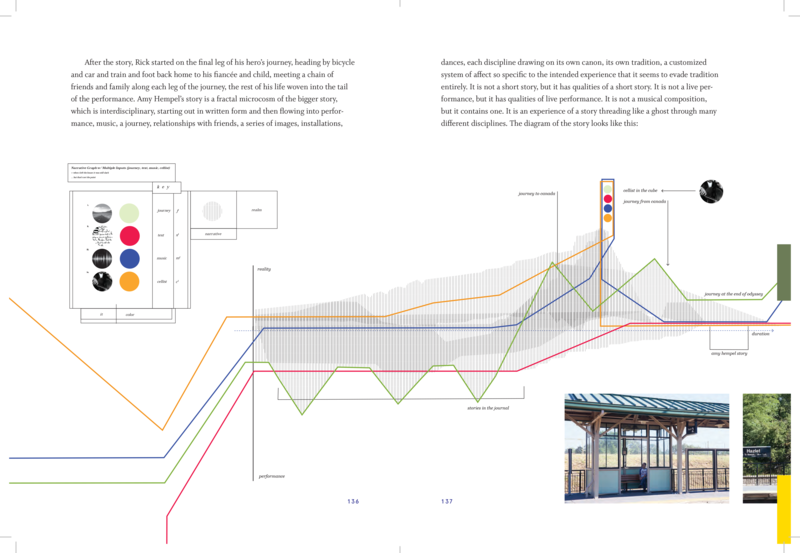 You can see the four parts mapped out in the diagram that served as a script for the performance. Carl's performance was more extensively detailed in The Alcalde. The city is mapped over the city through chance operations. 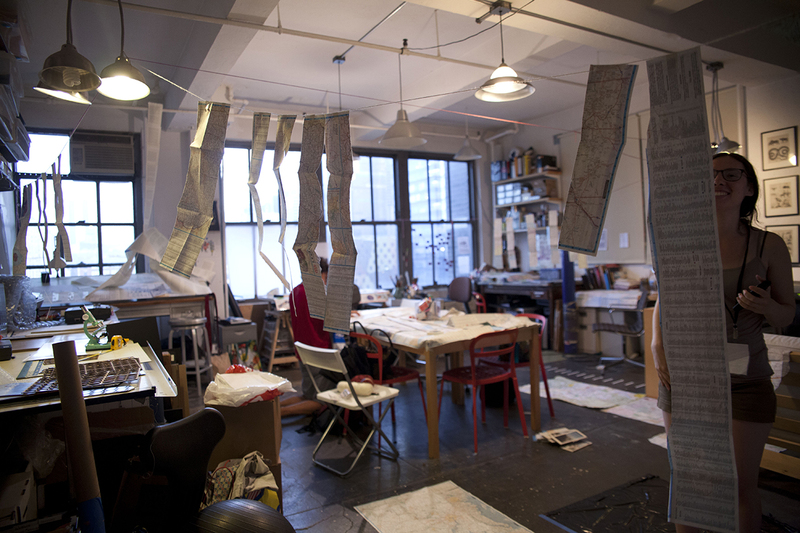 Another view of the mapping office - Carl encountered the office toward the end of the intellectual portion of his performance. Carl’s Odyssey began with him waking up to a clock radio playing a program about mapping. This was the beginning of Enhanced Carlness, a time when what was unique about Carl was amplified. As Carl walked the length of Manhattan he passed many beautiful moments like this one. Photo by Ayden LeRoux. 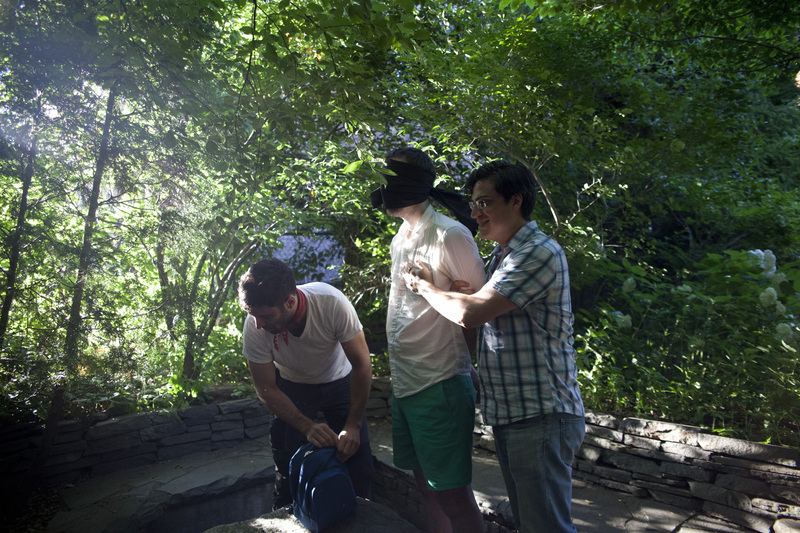 Easily captured after his long walk the length of Manhattan (while carrying a heavy rock), Carl is abducted. The Diagram of The Map is Not the Territory. You can read the timeline from the left to the right as it breaks down the performance into four parts, tags them for tempo and length and how physical or intellectual they are.